Why is AZ’s ‘kind campus’ movement attracting researchers’ attention? When students at Rio Rico High School in Arizona’s Santa Cruz County see a person doing something kind, they can take the Be Kind/Step Up bracelet off their wrist and give it to that person to let them know their kindness was noticed and appreciated. 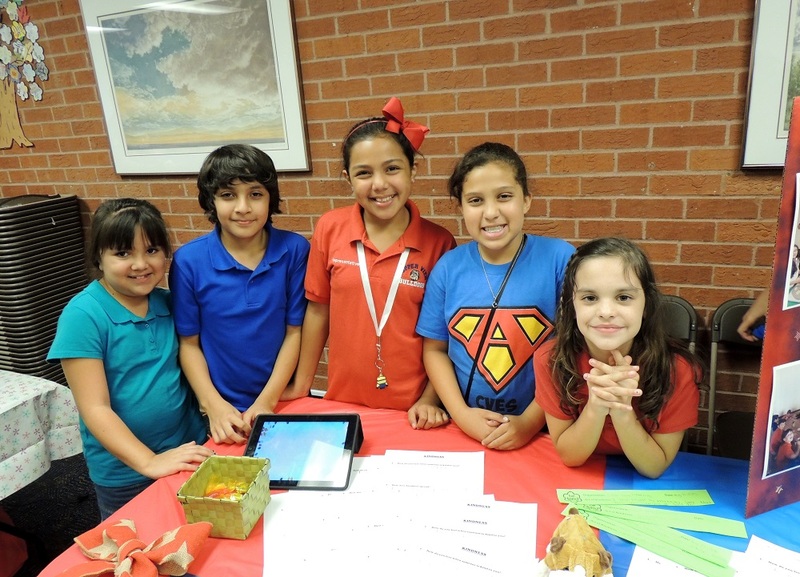 Rio Rico is one of 200 Arizona public schools and 320 nationwide that have joined the Kind Campus movement that was started in Tucson and has attracted the attention of researchers at the University of Arizona. 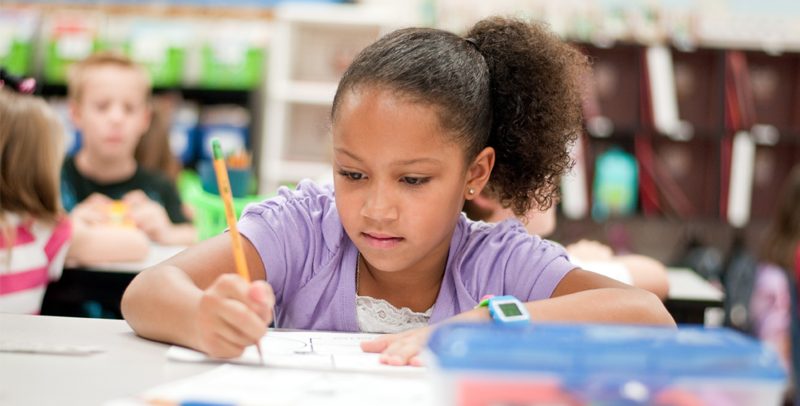 While many schools nationwide include character education and anti-bullying efforts to develop students’ social and emotional skills, more schools are now focusing on kindness and compassion as ways to foster positive behavior, decrease referrals to the principal’s office, improve the learning environment, naturally grow friendships, make schools warm and inclusive and reduce bullying. 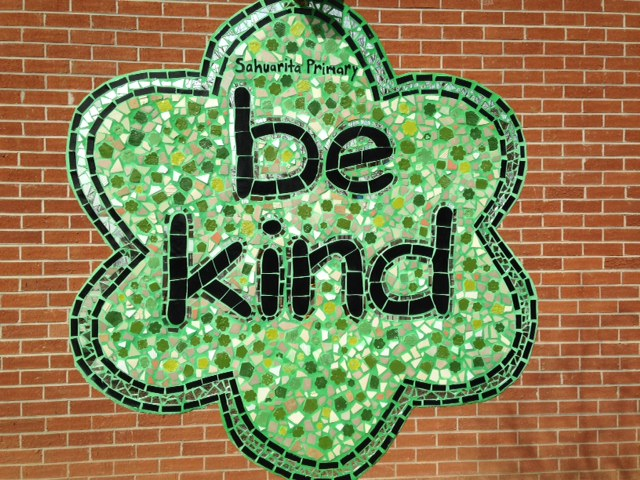 “Kindness really is a learned skill,” said Amy Collinsworth, marketing and communications manager for Ben’s Bells Project, a Tucson nonprofit that developed Kind Campus to promote kindness at school and in the community. Just two weeks ago, a Science of Kindness conference, sponsored by Ben’s Bells Project, Frances McClelland Institute for Children, Youth, and Families, and Banner University Medical Center, was held in Tucson. At the conference, Dr. Jeremy G. Richman, Ph.D., whose young daughter Avielle was killed in the shootings at Sandy Hook Elementary School in Newtown, Conn., spoke about how important it is to build social, emotional, and leadership skills in children by teaching and modeling them ourselves and community-wide. The Avielle Foundation, that Richman and his wife founded, seeks to better understand the biological and environmental factors associated with violence and compassion so these insights can be used to help people identify the signs of someone in crisis, responsibly advocate for those at risk of violence and develop kind, healthy, compassionate individuals and communities. Kind Campus was developed by Ben’s Bells Project, which was founded by Jeannette Maré, a Tucson mother who said others’ simple acts of kindness after her two-year-old son Ben suddenly died, helped her family get through each day and begin to heal. Kind Campus is provided to schools at no cost, promotes the benefits of kindness and helps students, teachers, administrators and staff create a culture of kindness in their schools through ideas and materials that can be easily adapted for all ages. Teachers and staff say that using Kind Campus program greatly improves the school environment, and end of the year surveys indicate positive changes in the way students and staff treat each other, Goguen said. “We hear about the decrease in referrals and the increase in positive language and problem solving of difficult situations,” Goguen said. Kind Campus helps children understand that “when we commit to practicing kindness together that we get to create a community that’s stronger and safer and more supportive for all of us,” Maré said. 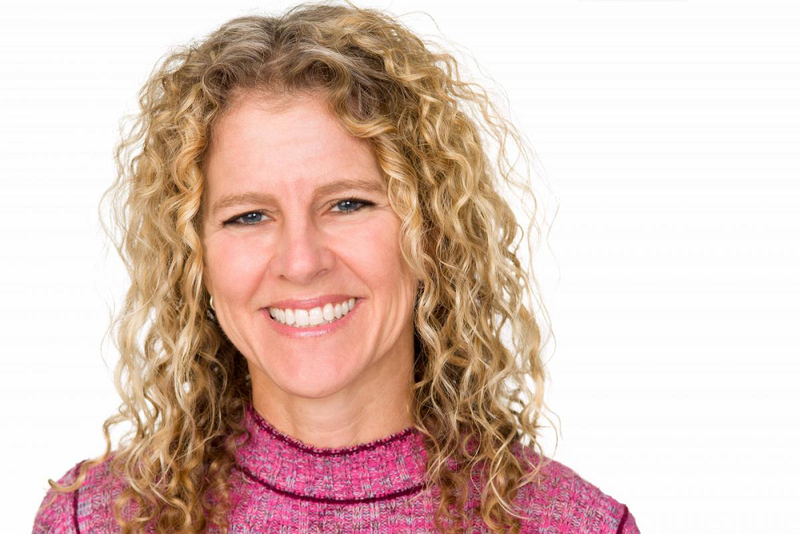 The University of Arizona’s Community Research, Evaluation & Development team is doing research on the effects of the Kind Campus program and will present their findings at the American Evaluation Association’s annual meeting November in Chicago, Maré said. “The first question becomes: What is kindness and what does it look like? 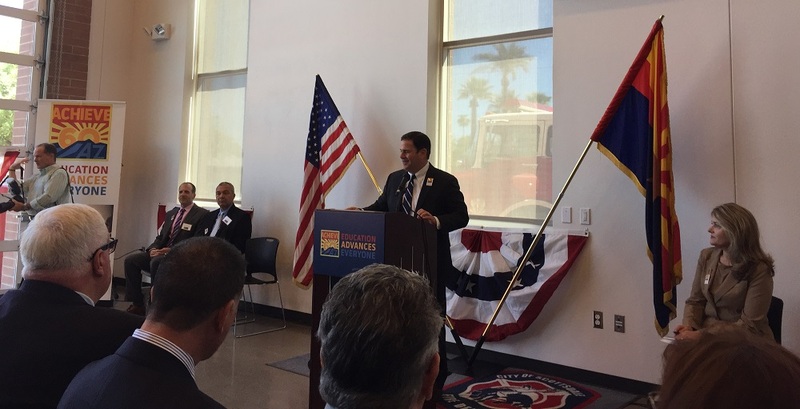 Then: What sort of instruments do we need to be able to adequately measure it,” Maré said, noting that the UofA team did a pilot study at Sunnyside Unified School District in Tucson last semester. The power of Kind Campus is that it’s accessible to everyone, said Maré. 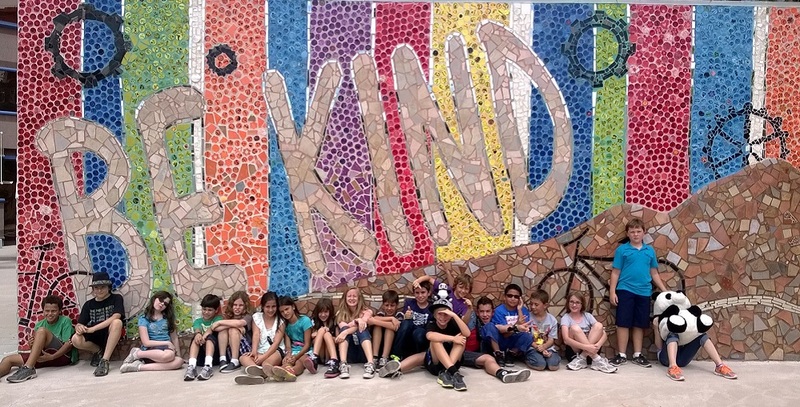 Rio Rico High School students noticed when the Be Kind mural, created through a partnership with Ben’s Bells Project, went up in the middle of the school’s courtyard at the end of the 2013-14 school year and they started asking questions, Vroegh said. When staff sees a student being kind, they give the student a Be Kind/Step Up bracelet, Vroegh said. “If you catch somebody being kind, you share your bracelet and then you can actually track the number on the back of it on the website, so you can actually see where it goes, which is kind of cool,” Vroegh said. Kind Campus has become part of the Santa Cruz Valley Unified school’s positive behavioral intervention and support program and the mural has been a key tool to spread the message about kindness to parents and the rest of the community, Vroegh said. Ben’s Bells Project installed its 100th community mural at Roadrunner Elementary in Marana last month and its first mural outside of southern Arizona at Victoria Soto School in Connecticut this summer. Emily Meschter Early Learning Center in the Flowing Wells Unified School District in Tucson has been using Kind Campus for the past two years and has tailored the wording in resources to be more meaningful to younger children, said Benjamin Collinsworth, a teacher and kindness coordinator at the school. Students who are kind are recognized at school with Kind Kid medallions from the program, Collinsworth said. Staff have let Collinsworth know they appreciate the Kind Campus program and enjoy working in a place where the importance of kindness is recognized. Kindness practice is part of all staff functions, and “at our monthly staff potlucks, we nominate and recognize a Kind Colleague who demonstrated a kind act,” Collinsworth said. “I look forward to someday reconnecting with former students and hearing about how learning about intentional kindness shaped their early character education,” Collinsworth said.